If you're inclined to reach for the cocoa and slippers when the temperature dips, it might be time to broaden your horizons. There are food and wine festivals aplenty to tear you away from the sofa and out into our fabulous wine regions. Over the Queens Birthday long weekend (10th - 12th June), the annual Weekend Fit for a King festival celebrates the wine, produce and Italian spirit of Victoria's beautiful King Valley. Brown Brothers is the perfect place to enjoy the festival with over 50 wines to discover as well as an extended Wine Bar menu with great casual food options and a pop up Prosecco cocktail bar which will also serve mulled wine (Gluhwein) if it’s chilly plus live music on Saturday, Sunday and Monday. Brown Brothers will also host a five-course King's Feast Festival Dinner to open the festival on 10th June and three-course Patricia's Table Festival Lunches on 10th and 11th. Make sure you find time to join Pizzini Wines at the Sangiovese e Salsicce Celebration on Sunday 11th June and feast on warming, winter dishes, savoury Italian wine varieties and delicious desserts. Entry is $25pp and includes your festival wine glass that can be used at all participating wineries. In McLaren Vale over the same weekend, the Sea & Vines Festival is celebrating its 25th year of revelling in the culinary and winemaking traditions of this premier food and wine destination with a beach lifestyle. Both d'Arenberg and Wirra Wirra Wines will be hosting daily Masterclasses as well as special events. 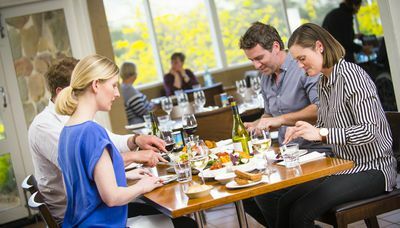 d'Arenberg invites visitors to join d'Arry Osborn in celebrating his 90th birthday with a d'Arry's Verandah Nostalgic Degusation - Head Chef Peter Reschke will lead diners on a multi course journey back in time to the food from d’Arry’s boyhood and d’Arenberg’s 1912 inception. Each intricately designed course will be paired with some of the best wines from the award winning d’Arenberg range from current vintages to rare museum stock. As a special treat, d’Arry himself will be present to meet guests upon arrival and share a glass of cheer and a story or two. Call 08 8329 4848 to book. On the Public Holiday Monday Wirra Wirra will be hosting a relaxed Family Band Day on the lawns with live music and Adelaide food trucks, as well as catering from Harry’s Deli… this is a sure fire, family-friendly way to enjoy Sea & Vines this year. Free entry, no bookings required, but please get in early as number restrictions apply. 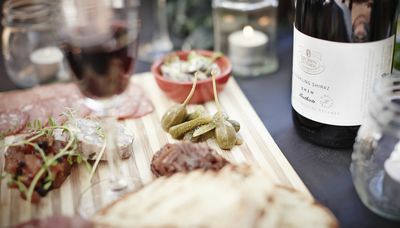 On Sunday 9th July, the annual Bonjour Barossa festival at Seppeltsfield is back, offering a boutique and market-style French food, wine & cultural celebration. Held the week prior to Bastille Day (French National Day) Bonjour Barossa includes ‘French foodie’ indulgences such as patisserie (pastries & desserts), boulangerie (breads & baked goods) and charcuterie (cured and smoked meats), along with other favourites of beef bourguignon, oysters, cheese, crepes and ice-cream as well as cooking demonstrations by Le Cordon Bleu, live Parisian jazz music by Louise Blackwell and the French Set as well as an exclusive Pol Roger Champagne Lounge and Masterclass. The event is family friendly - kids will enjoy face painting, petanque (bocce) and Punch & Judy puppet shows. Pre-purchased tickets are $15 per person including etched Bonjour Barossa wine glass. Children under 18 are free. Click here for tickets. 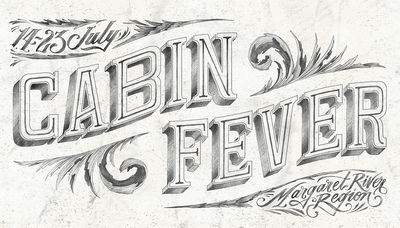 Don't forget the first ever Margaret River Cabin Fever festival between 14th and 23rd July! Back in South Australia, from 29th to 30th July, the Adelaide Hills will welcome visitors to a variety of events celebrating the Winter Reds Festival. The Lane Vineyard will host a long table degustation unearthing the mystery and celebrating the elusive luxury of truffle. Join Australia's expert for a 5 course degustation, exploring the evocative qualities of this beguiling ingredient, coupled with finest seasonal Adelaide Hills' produce and surprises from Italy's most scenic region. Call 08 8388 1250 to book. Throughout the weekend, pop into The Lane for some 'Après-Ski' - Defrost with hearty winter fare, mulled wine and DJ tunes at the pop up 'Chalet Bar' or warm up with a world-class wine experience in the Tasting Room over a vertical flight of some back vintage treasures. Inspired? Call your friends, mark your calendars and start planning your winter festival itineraries.